I'm quite tired today - had things to do over the last week or so that have left me without much energy, but I have painted. I've finished the background of @Radiation's painting, and just have the characters to finish, then the outlining left to do. I'm happy with how the background has turned out, and am thankful for the miniature brushes my BFF bought me a while ago, as they are so useful in this painting! The BBC made-over my back garden!!! 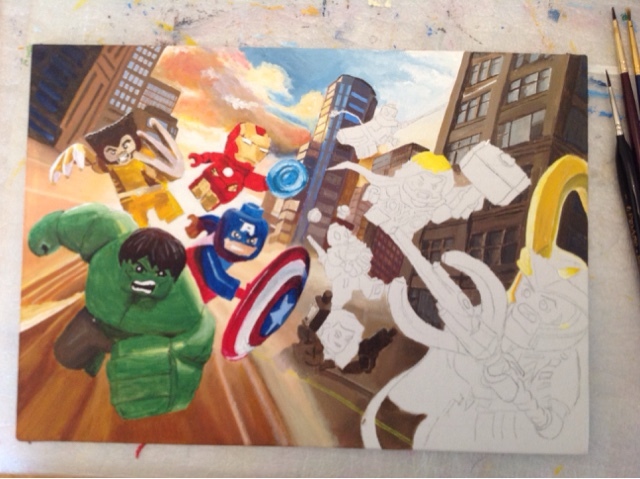 Lego Marvel Super Heroes almost done!